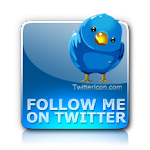 Hello Friends and Happy Saturday! It's Marcy here with some inspiration for you all today! So I know this card has a "Get Well" theme so I wanted to make it bright and cheery for the person receiving it! This image called "Bear Hugs" from the Pure Innocence collection by MFT would put a smile on anyone's face, right?!! Isn't she so adorable holding her little teddy bear? She's one of the newer releases and being such a big PI fan, I just had to get her! I pretty much paper pieced her whole outfit other than her skin and hair colored with my copics, and her shoes which I used my Wink of Stella in Pink on. I even paper pieced cute Teddy! 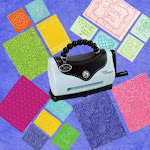 :) The pretty papers I used are called "True Friends" by Carta Bella. I just love this pretty Springtime collection. To finish off my card, I added some enamel dots which I picked up recently at Michaels. 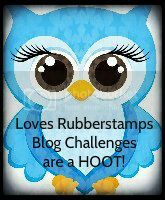 Be sure to stop by the Loves Rubberstamps store to see the items used on my card and to see all of the latest MFT Pure Innocence stamp sets! 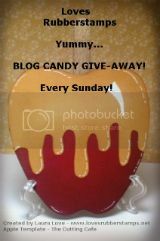 Also, don't forget to check out the blog tomorrow for the "Sensational Sunday" Blog Hop! Lovely papers and what a cute stamp Marcy! So pretty Marcy! I love all the paper piecing...i just ordered some enamel dots as well, can't wait for them to come in. Look Who's A Big Girl Now!